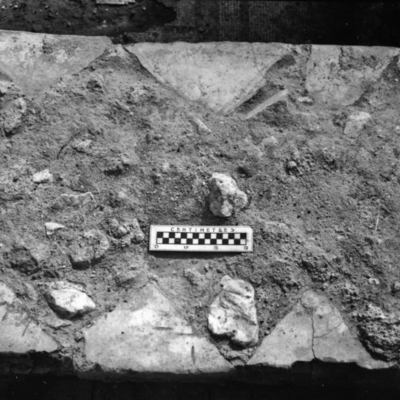 Deposit of coarse pottery sherds in Room 10. 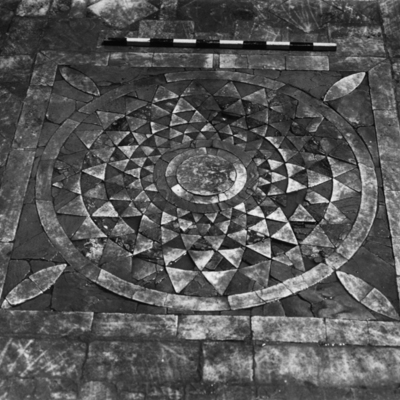 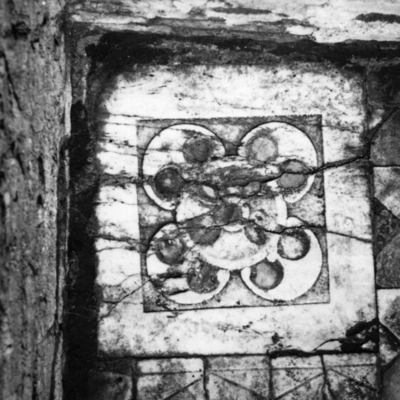 Detail of geometric mosaic floor in Room 10 southwest corner. 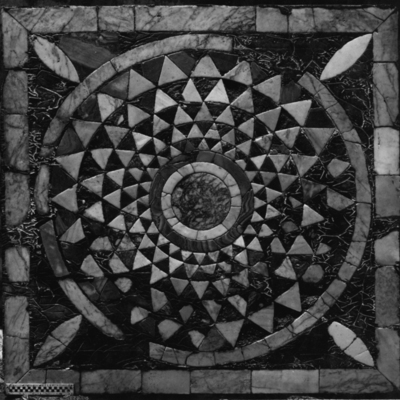 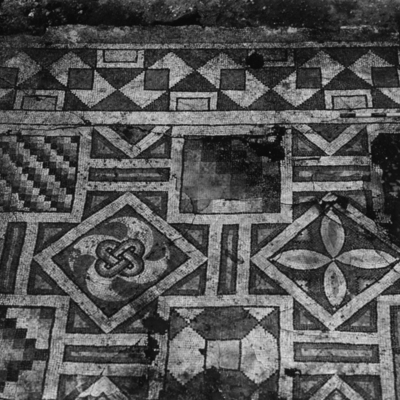 Detail of geometric mosaic floor in Room 10. 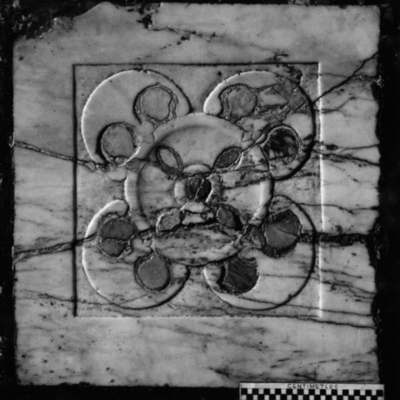 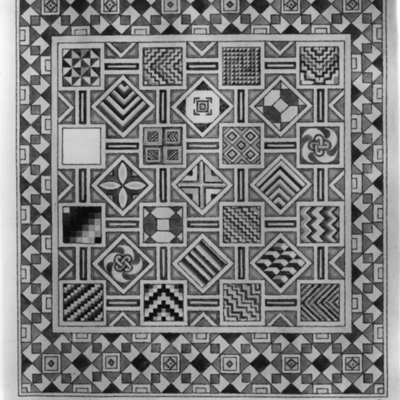 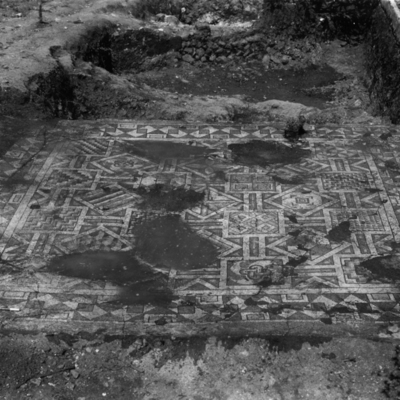 Restoration drawing of mosaic pavement in Room 10. 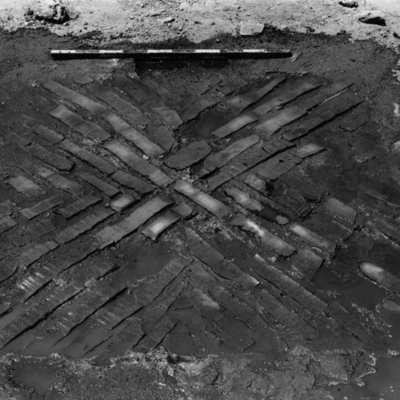 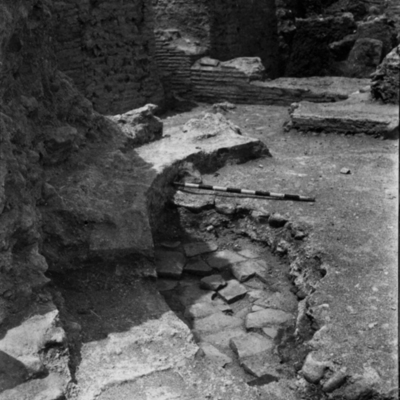 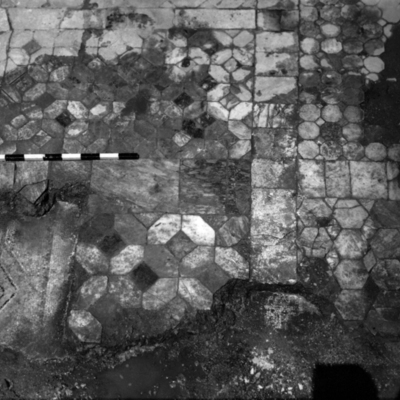 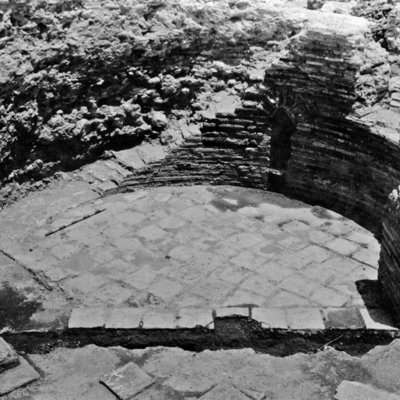 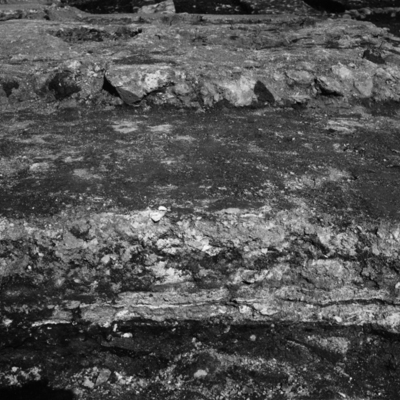 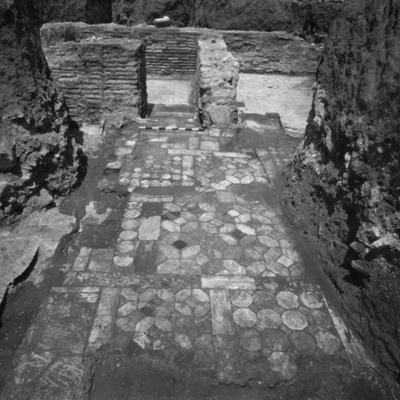 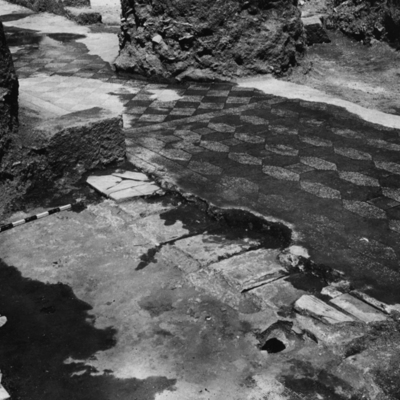 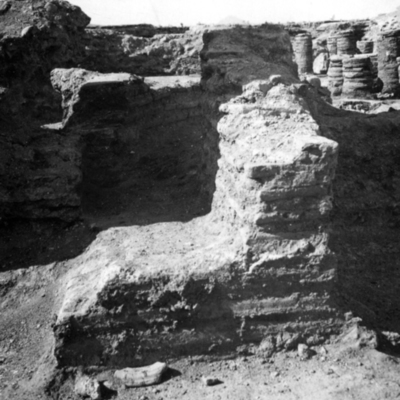 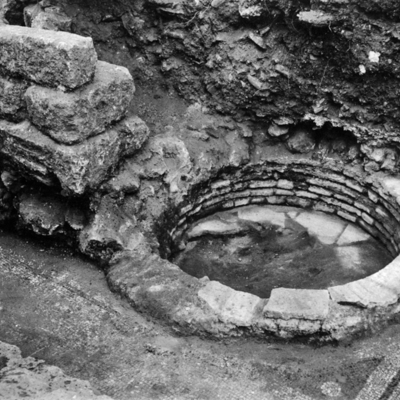 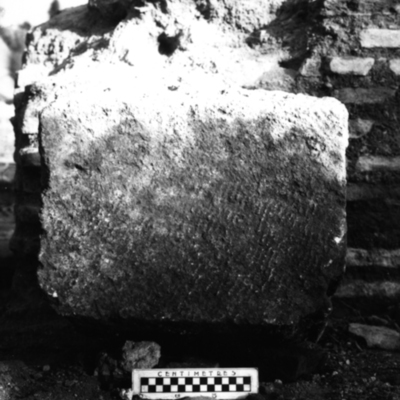 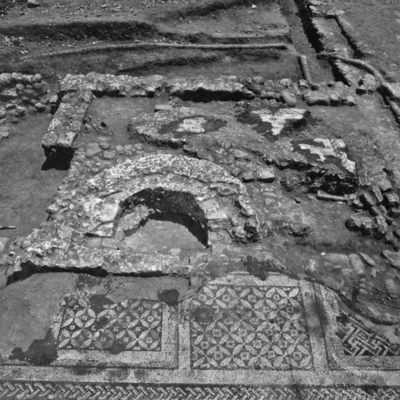 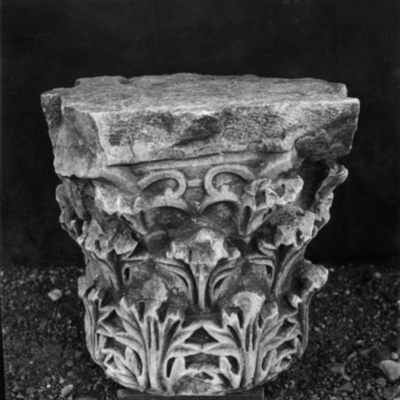 View of excavations under Phoenix mosaic. 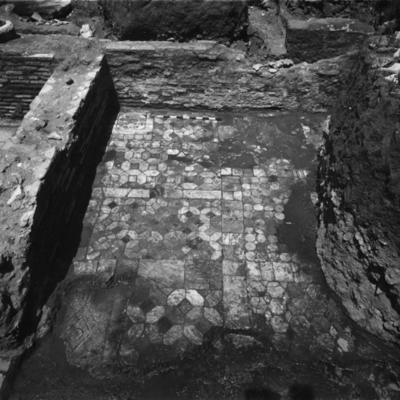 Excavation of Rooms 10 11 & 12 under Phoenix mosaic. 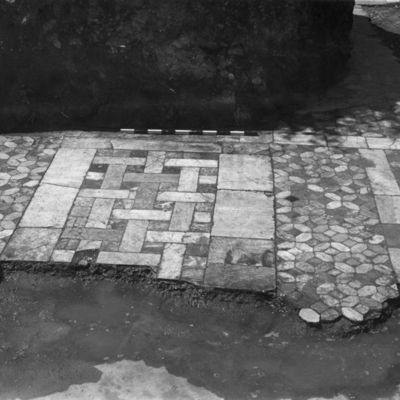 Detail of mosaic pavement and brick basin in Room 10. 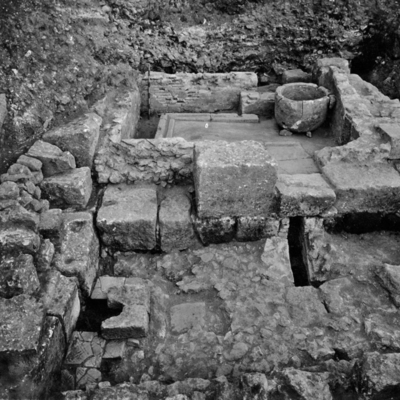 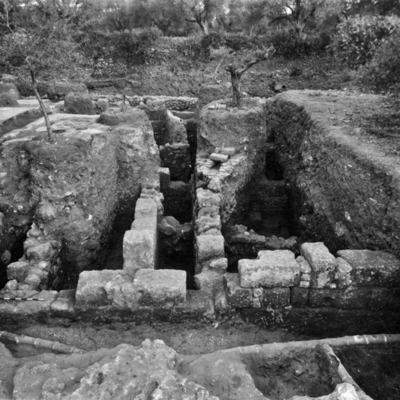 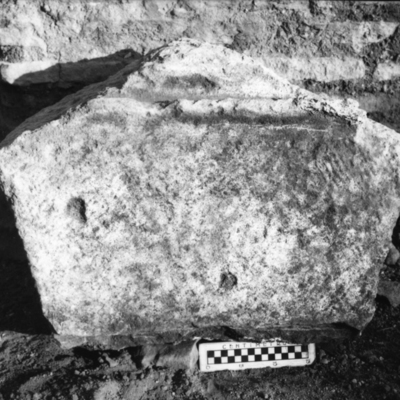 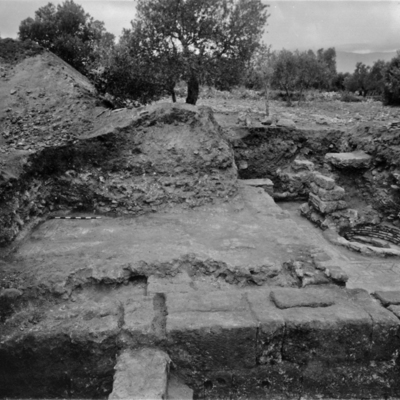 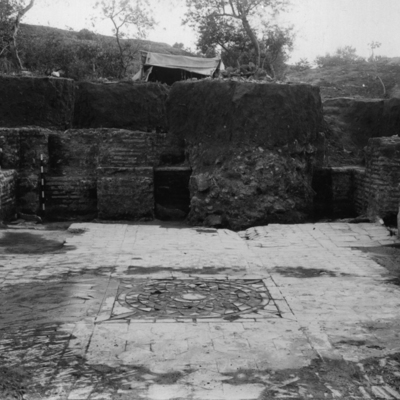 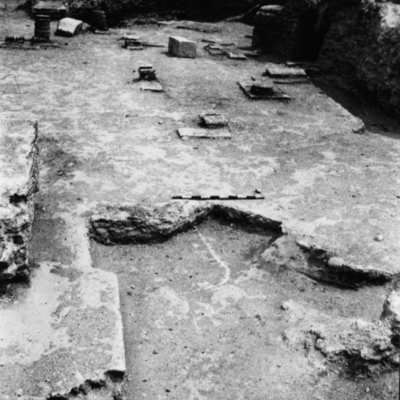 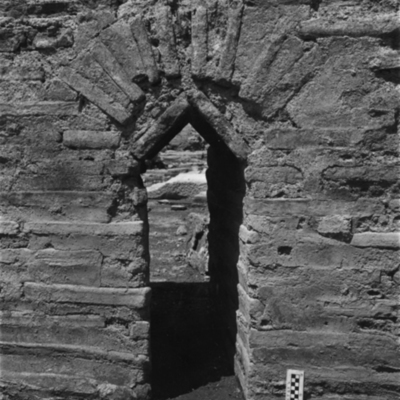 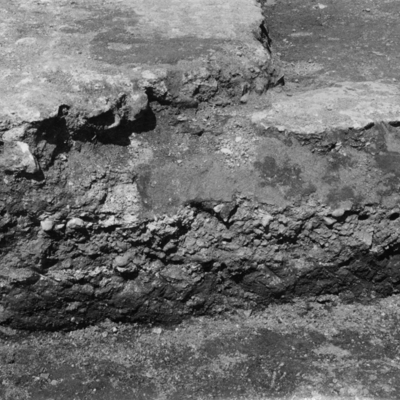 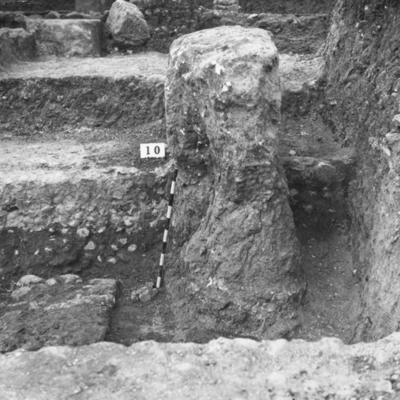 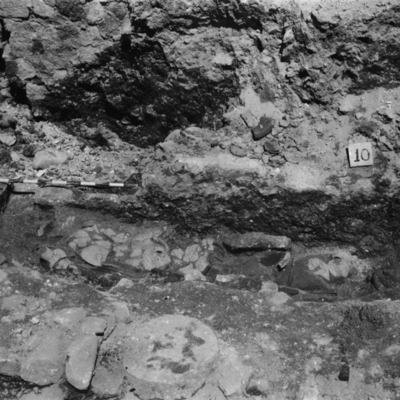 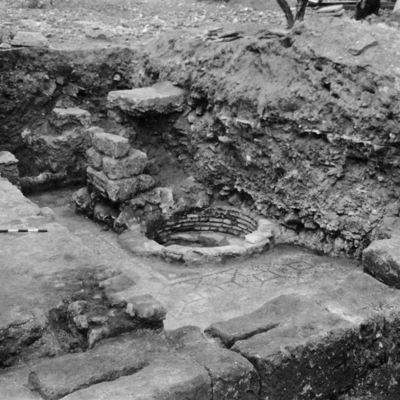 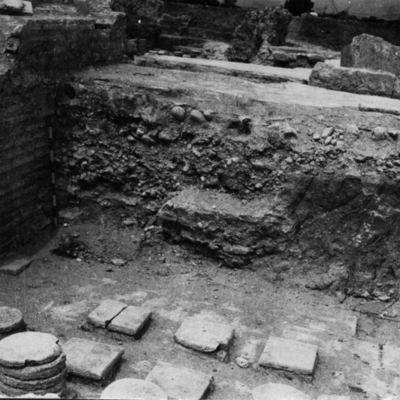 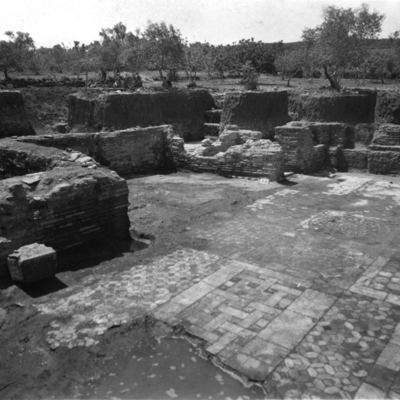 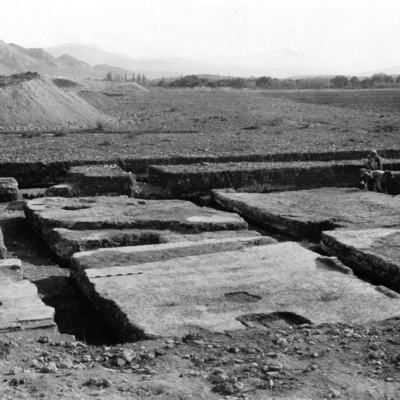 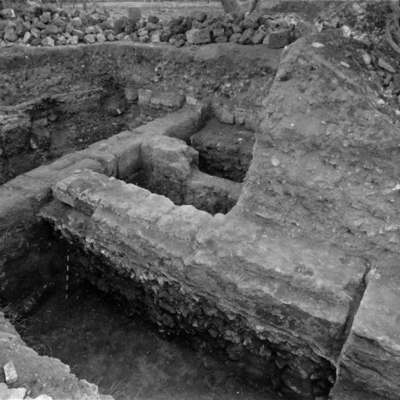 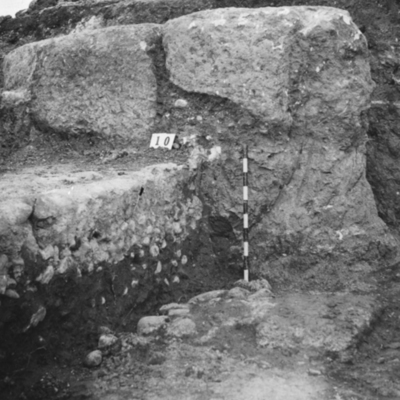 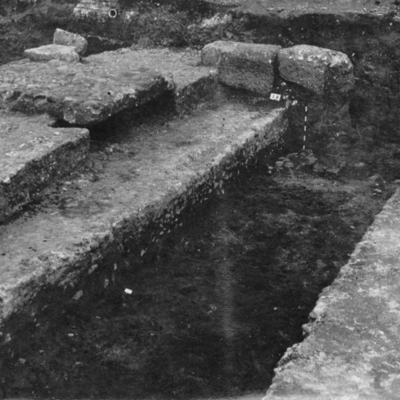 View of Rooms 10 & 11 excavated outside the body of the main building. 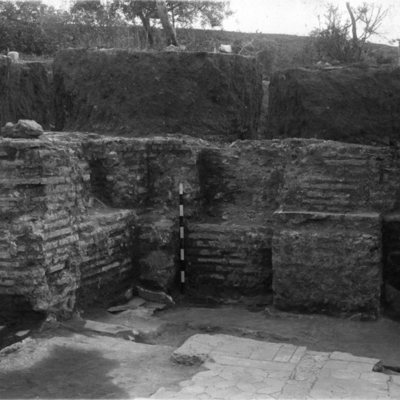 View into Rooms 9 & 10 apse of the baptistry and dependencies.